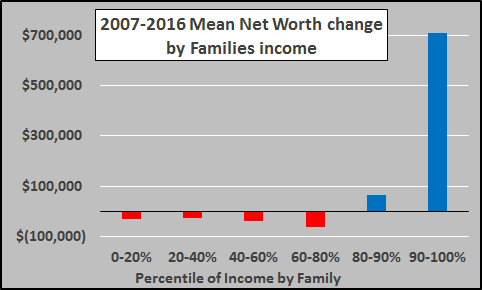 Unfortunately, since '07, nearly all the benefits of this record "wealth" creation are being accrued by a fraction of Americans. 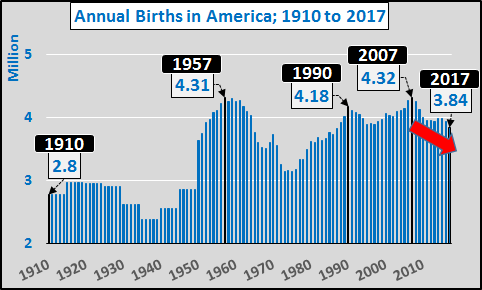 The federal government and Federal Reserve programs have benefited asset holders while penalizing the working class with fast rising costs of living (record rents as a % of income, record insurance, higher education costs, reduction/elimination of pensions and job related benefits, etc. etc.) absent the higher wages with which to pay for these. 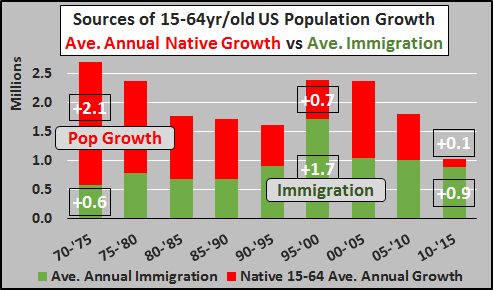 It appears the present and future generations opportunities are being sacrificed to maintain and further a select group in the here and now. 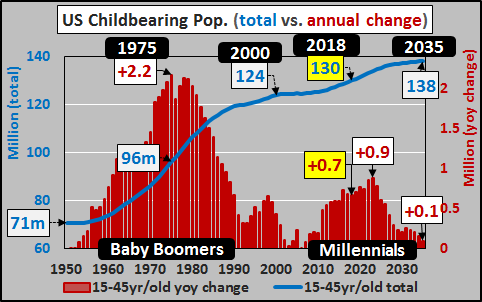 The continuation of the present policies will only further grossly enrich a shrinking minority while continue to penalize those of childbearing age (among others). 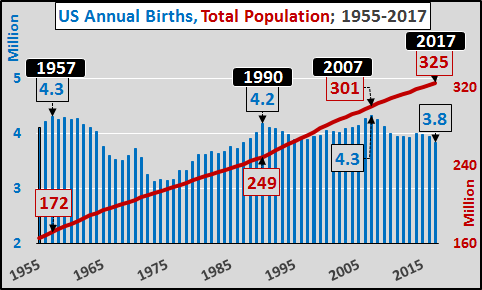 This will only further push the birth rate into negative territory (well below replacement level). 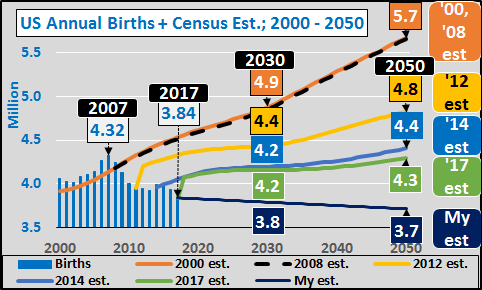 The Fed's inequitable cure is essentially saving the elderly patient at the expense of the present and future of the patients offspring. 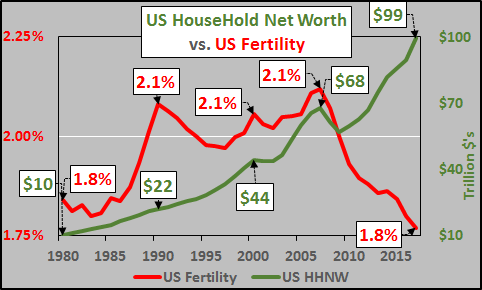 The merit of an economic system which results in the childbearing populace unable and/or unwilling to perpetuate the species is sorely in need of reconsideration and reconstruction.